cut your HVAC repair bills by 90%? extend the life of your HVAC equipment by as much as 100%? 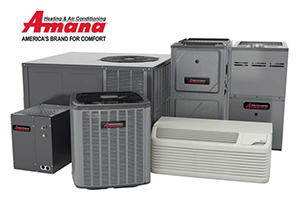 have peace of mind knowing your HVAC expenses are covered in one low monthly fee? Then our full-service HVAC Maintenance Program is perfect for you! For many businesses, heating and cooling your facility can be the second most expensive cost to your business next to payroll. When HVAC equipment is not properly maintained, the equipment becomes inefficient and problems begin to snowball. Pretty soon you are spending thousands of dollars on avoidable repairs — or worse yet, tens of thousands on unexpected replacements. The commercial HVAC experts at Aaron York's Quality Air offer an all-inclusive full-service maintenance program for businesses just like you. It takes away surprises, gives you peace of mind that your equipment will always be running most effectively and efficient, and offers you one low monthly fee you can budget for. Simply request a FREE ON-SITE ASSESSMENT and one of our experts will visit your facility to inspect your equipment, answer any questions you have and provide you a detailed quote. You can't go wrong with a Aaron York's Quality Air Full-Service Maintenance Plan.